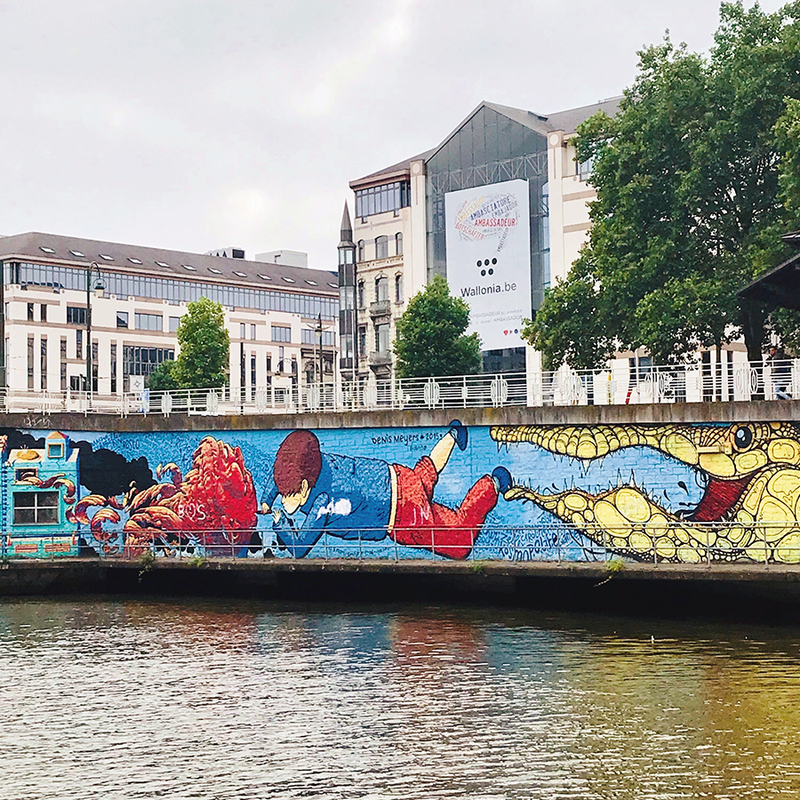 In May and June, the Brussels-Capital Region (BCR) participated in several meetings organised by the World Association of Major Metropolises (Metropolis). The network’s regional secretaries met at the Brussels Regional Public Service (BRPS) among others. The regional secretaries met in Brussels on 28 and 29 May. 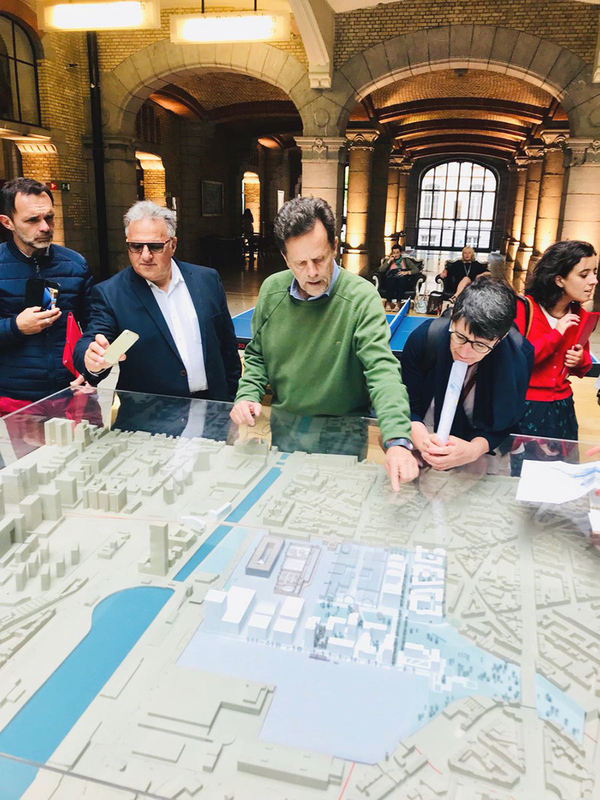 Presentation of the scale model of the Tour and Taxis site. Visit of the Canal Zone. Round-table on the gender perspective in urban policy. Working day on gender equality in metropolitan policy. Group photo. On 28 and 29 May, the meeting of the regional secretaries of Metropolis was held in the buildings of the BRPS. Representatives of Berlin, Dakar, Mexico, Montevideo and Guangzhou, cities which are all regional secretariats, as well as representatives of the BCR, which is the acting treasurer, and members of the Metropolis secretariat reflected on the association’s financial status in the long term. They also prepared the annual Metropolis meeting to be held in Johannesburg from 26 until 29 August. 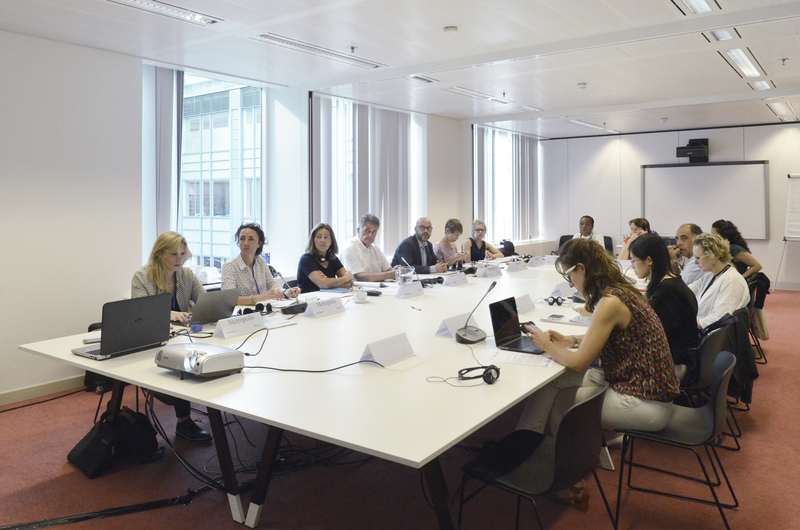 The first meeting in the framework of the Metropolis pilot project “Innovation of recovery strategies through an urban project” was held on 5 and 6 June in Brussels. The BCR oversees the project, working with Lyon Métropole and the City of Montréal. The Catholic University of Louvain-la-Neuve (Metrolab/LOCI-UCL, Belgium), the University of Lyon – Ecole nationale des travaux publics de l’Etat (LAET-ENTPE), the University of Québec in Montréal (UQAM) and the Institut d’aménagement et d’urbanisme of Île-de-France (IAU-IDF) are all contributing scientific research to the project. 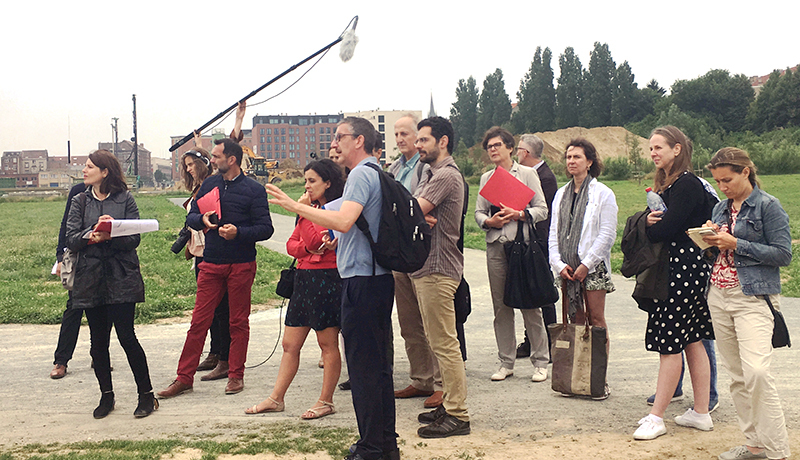 The project’s main purpose is to exchange experiences on recovery strategies and processes in cities that are being rebuilt, using the examples of major urban projects, based on the analysis of five themes: urbanisation, urban design, the participation process, the operational development of the project in terms of financing, and finally regulation and governance. The results will be shared with public services and institutions working on similar projects and will allow local governments to find solutions for problems they encounter when managing large urban projects. The BCR presented the projects in the Canal Zone. Various working sessions and field visits were organised over a two-day period. The delegation then travelled to Lyon, where they continued their exchanges for another two days. On 20 June, on World Refugee Day, Minister-President Vervoort and the mayors of Athens, Barcelona, Berlin, Mexico, Montevideo and São Paulo, which are all member cities of Metropolis, signed the declaration of solidarity in the framework of the Metropolis campaign Cities #WithRefugees, calling on other cities to join them in welcoming and including refugees in their communities. To date, 55 cities around the world have already signed the declaration. Many cities are taking specific actions and organising special initiatives for refugees. The declaration of solidarity of the Cities #WithRefugees underscores the increasingly important role that cities play in accommodating refugees. Nearly two out three refugees settle in urban areas, whose residents are often the first to help refugees when they arrive. 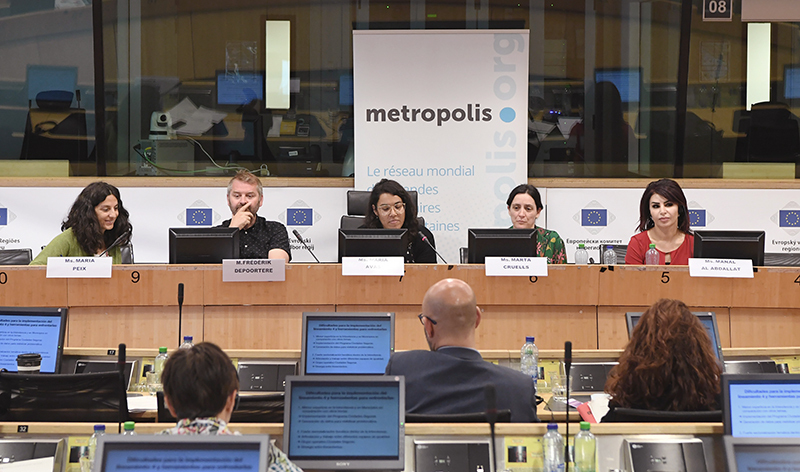 The BCR also co-organised a day of the Committee of the Regions with Metropolis, to present the fourth reference document of the Metropolis Observatory, titled “Creating egalitarian metropolitan spaces”. Written by Ana Falú, the coordinator of the UN Habitat’s Gender Hub, the paper sparks a debate on the need to include a gender perspective in public policy on a metropolitan scale. With this publication, Metropolis reiterates the commitment of cities as inclusive spaces for everyone, including women and girls. Various member cities of Metropolis, i.e., Amman, Montevideo, Barcelona and of course the BCR, presented their experiences in terms of creating urban projects with a gender perspective during a first round-table meeting. The experts of the last round-table tried to identify the challenges and opportunities associated with metropolitan projects and intersectional policies. The working day was a great opportunity to add gender equality to the metropolitan agenda as a general strategy for developing intersectional and inclusive governance models.